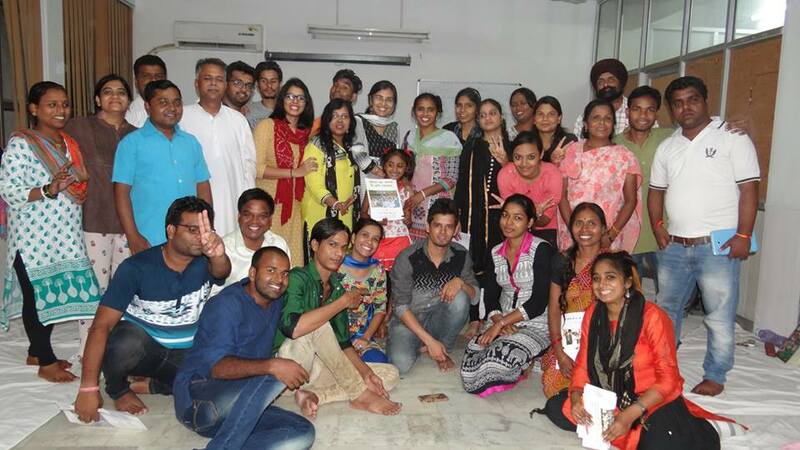 In the first week of September, 2016, CORO launched Quest Grassroots Leadership Development Program in Delhi with 30 enthusiastic Grassroots Leaders. These leaders have chosen to work in the areas like Child Protection (Trafficking, Child labour, Child-abuse), Education, Women Empowerment, Entitlements/Accountability/Transparent Governance, Health & Sanitation, Entitlements of Transgenders, Issues of socially/economically backward groups. 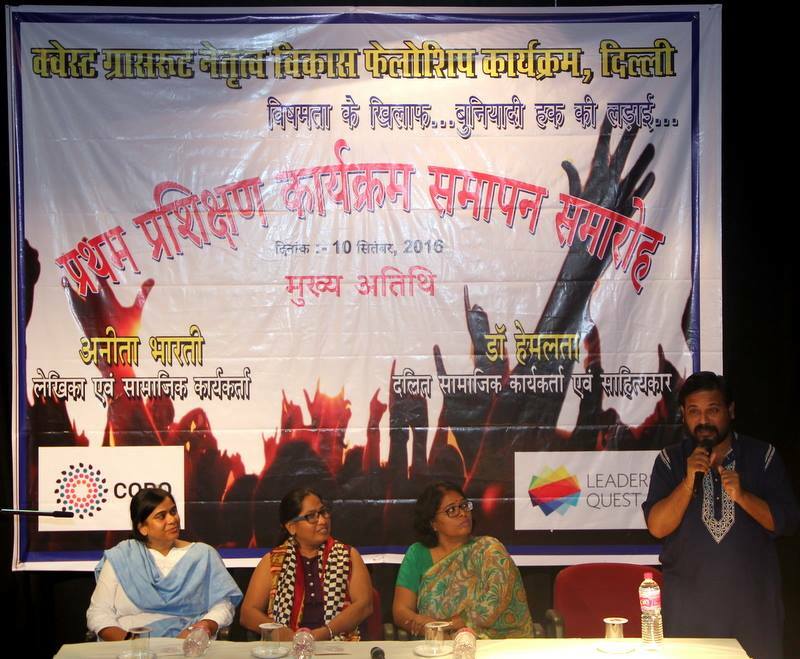 The leaders are from 25 organisations like Ashray Adhikar Abhiyan, Nav Srishti, Pravah, Delhi Forum, Agrasar (Gurgaon), Satark Nagrik Sanghathan etc. The first training spanning over 5 days included interactive sessions with group activities & discussions, graphical presentations by trainees covering the topics : ‘Identity and Understanding Self’, ‘Understanding Social Context’, and ‘Leadership Journey’. These sessions prompted them to introspect and understand the gender and social norms relevant to the issue they are working on, the socio-economic, political and administrative contexts which impact their issues and the problems, influences and facilities that support / oppose them. During the training one of our ex-fellows from Rajasthan, Suresh Bala had a sharing about her fellowship journey in the year 2015. Suresh worked on educational facilities for the students in her village. She made school management committee active, addressed the issue of shortage of teachers, initiated construction of school building and revived midday meal program. Today Suresh is confidently organising women in her village to resolve other pressing issues of the village. Suresh Bala’s bold journey reaffirmed fellows’ belief in the change process and energised them to work on their respective issues. The first chapter of this wonderful leadership journey came to a conclusion with a guiding and motivating speech by Our Chief Guests , Dalit Writer/Activist Ms. Anita Bhartiand Dalit Activist/Academician Dr. Hemlata. They shared their experiences while working on the issues in society.